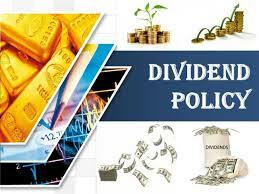 Primary purpose of this term paper is to analysis Dividend Policy of Square Pharmaceuticals Ltd. Dividend policy is concerned with financial policies as regards paying cash dividend in the present or paying an increased dividend at a later period. Whether to issue dividends and what amount, is indomitable mainly on the basis of the company’s inappropriate profit and influenced by the company’s long-term earning power. The two dividend policies suggested in this term paper are nothing but the byproduct of the Square pharmaceutical ltd.’s present dividend policy. But this will at least help the investors to bring back their assurance in the company. Also, the SPL will have more flexibility to come across the future crisis.